We are locksmiths in Portslade offering a full range of locksmith work for residential, commercial and business customers at low prices. An emergency service that guarantees to be at your door within an hour of your call plus first-rate routine locksmith and security work, Portslade locksmiths covers it all. From key replacements to discreet lock changes, we take pride in our workmanship being excellent every time. 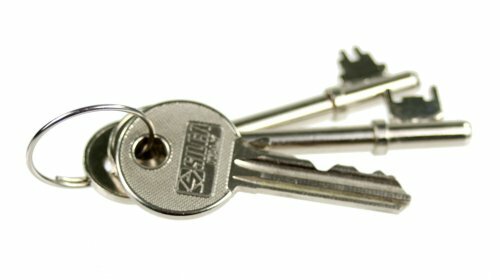 Our friendly and professional locksmiths are waiting to take your call. Reputable locksmith in Portslade operate 24 hours a day, 7 days a week to ensure the safety and security of your property, family and employees. Safes, locking bars, garage locks, Yale locks and more are all available from Portslade locksmiths. Whatever your locking requirement, contact us now to discuss the equipment that we can source to suit your property. Our store in Brighton has a variety of robust equipment ready to install today. Security shutters, grilles and gates custom-made to suit the measurements of your shop can be supplied from our longstanding connections in the trade at the lowest prices for you. We guarantee that we won’t be beaten on price in the Brighton area. Competitive pricing is key to the business of locksmiths in Portslade. Whether you are arranging a security inspection and complete security overhaul covering door and window locks, surveillance systems, safes and alarms or you need the service of an emergency locksmith, we work hard to keep our prices down for you. Our work is budget-friendly so that everyone should be able to afford for Portslade locksmiths to carry out top-quality locksmith work. Another important aspect of our customer service is efficiency – using modern equipment to save time and ultimately save you money. Whilst keeping prices competitive we never compromise on the quality of materials used by us.